Faraday: Did you know our Aunt Amy over at Sebastian the Sensitive Soul fostered Kevin for almost a year? And did you know... *whispers* #shesagirl !! Kevin is incredibly sweet, loves to be groomed, and isn't terribly fond of other cats so she'd prefer to be an only girl. Here, I'll let her tell you all about herself! 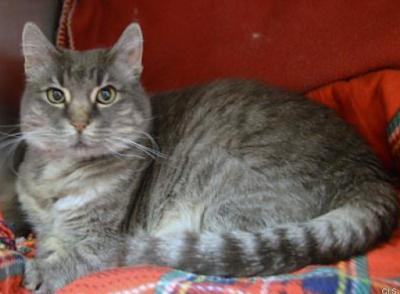 I'm a grey tabby girl who is only 6 years young. The folks here tell me I'm a Personal Assistant, which means that pretty much anything you do, I'll want to help out with. That's okay, isn't it? I mean, I simply love hanging out with people!" "I was adopted out the day after Christmas and thought - oh my, wow, this is IT! My forever home! - and then a few days ago, they returned me. Seems they adopted me for their daughter ... who decided to move away." "Humans. They're so hard to understand sometimes, you know? But I believe, deep down in my heart, that they're worth waiting for. I'm a real lap cat, and would just love watching the Super Bowl with you. (*ahem* or the Kitten Bowl...but I promise I won't confiscate the remote if you just have to watch the pigskin instead.)" "If you know of anyone who might be a good match for me, could you send them my way? Let's get this girl a home that sticks this time! She's ready, all packed and with her purr motor primed, at Wayside Waifs. You will soon have the bestest home you could expect! We sure hope it comes true...then the kitten bowl will be super indeed! Paws crossed that Kevin finds the right home soon! 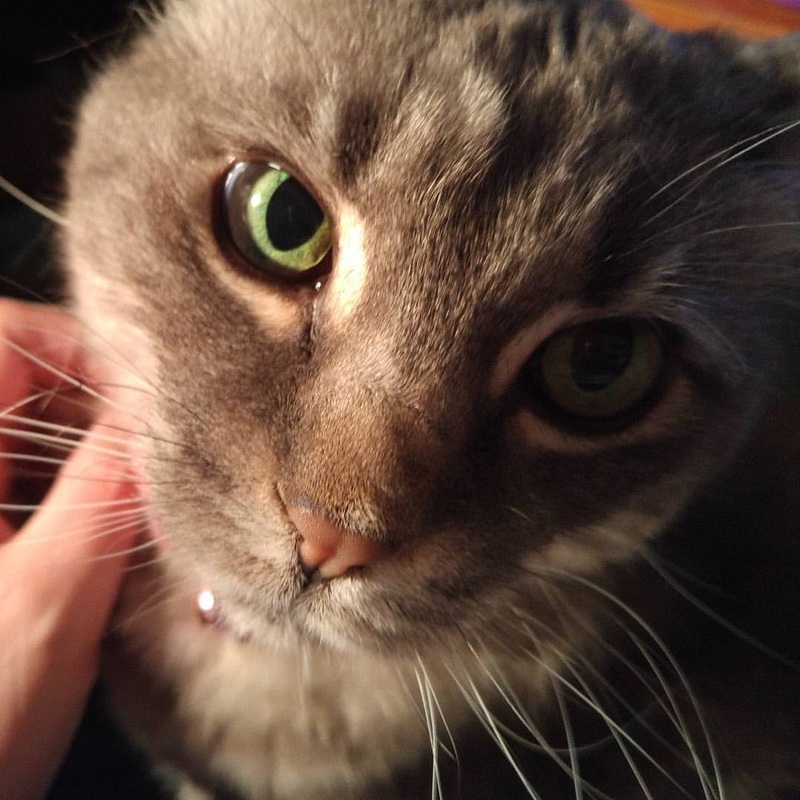 Kevin is such a beautiful kitty! I'm sorry her home turned out to be not-forever. She deserves to have a real forever home...I hope she finds it very soon! I've been following Kevin's story and couldn't believe she'd been returned. Don't let it get you down, sweet girl! 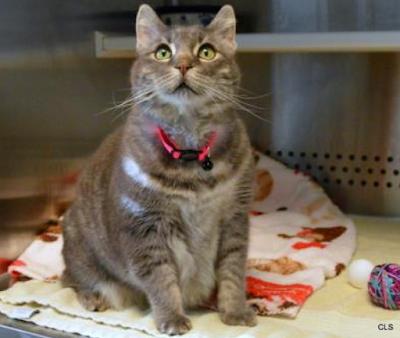 The purr-fect home is waiting for you! How very sad Kevin.....just when you think you've got your forever, it's snatched away. I have a feeling someone else will see that gorgeous face and say "KEVIN - YOU'RE ALL MINE! ".........although maybe "Kevina" is a better name??? HAHAHAHA GOOD LUCK DEAR GIRL! OH my we so hope that your forever and ever home happens very soon. What a beauty. YAY! Kevin was adopted!! tunas for everyone!! That is just heart breaking, but now I see from the other comment, she got a home. Thank dog for that. Humans can be so very rotten. Aw, Kevin, that makes me sad. I hope you find the right people soon. I hope she gets her forever home soon. We think we saw that Kevin has found her forever home. Yay! Ohhhhh how sad :( We will keep you in our prayer sweetheart!